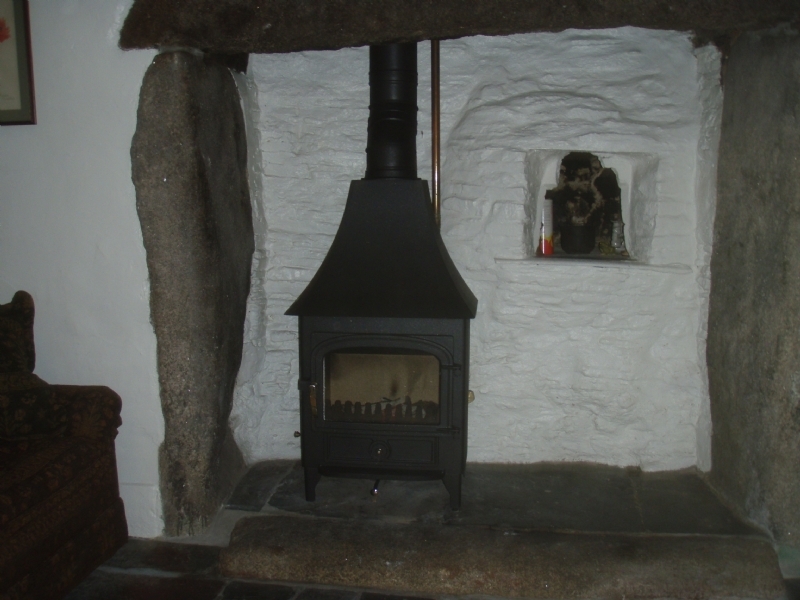 Clearview Vision with Bread oven wood burning stove installation from Kernow Fires. 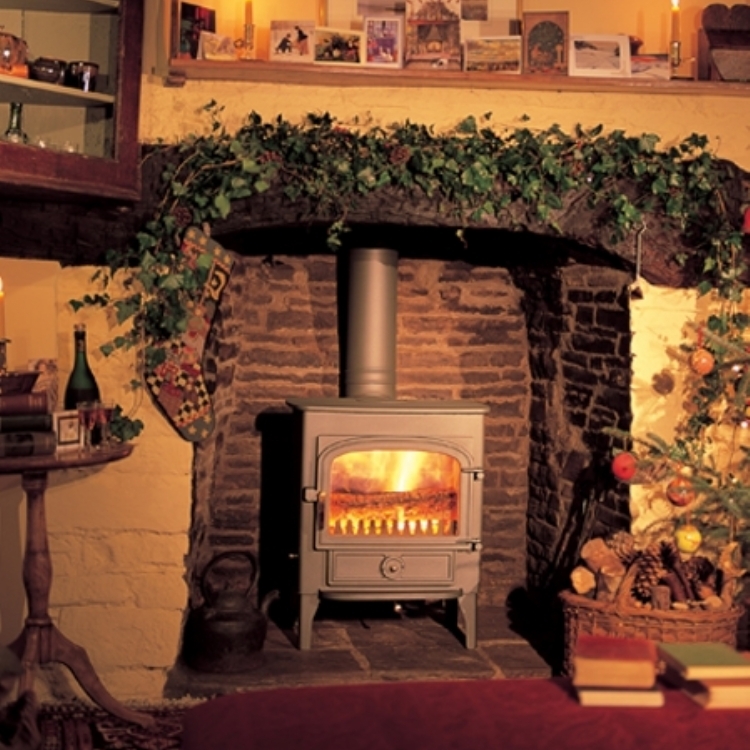 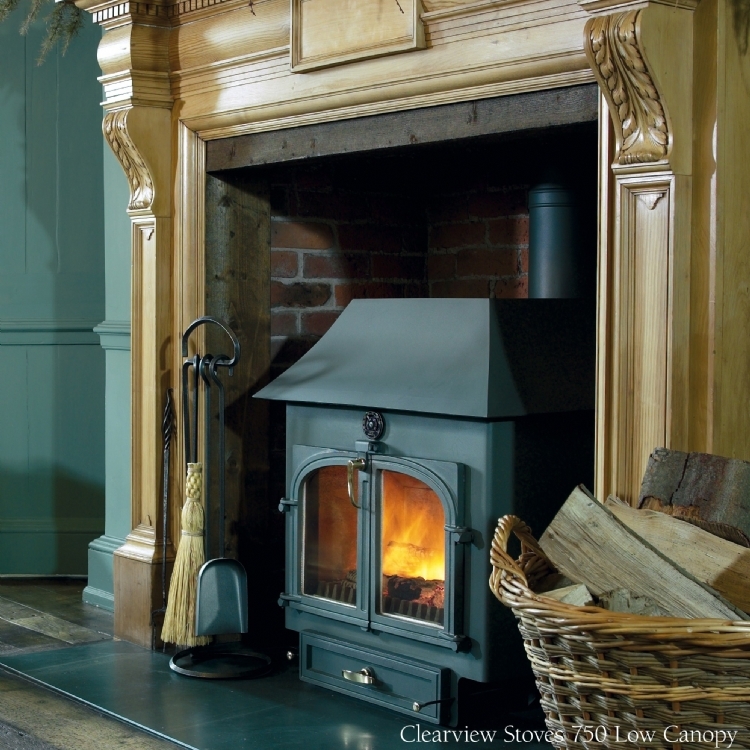 ​The Clearview Vision is an 8kW multi fuel stove which is traditional in appearance. 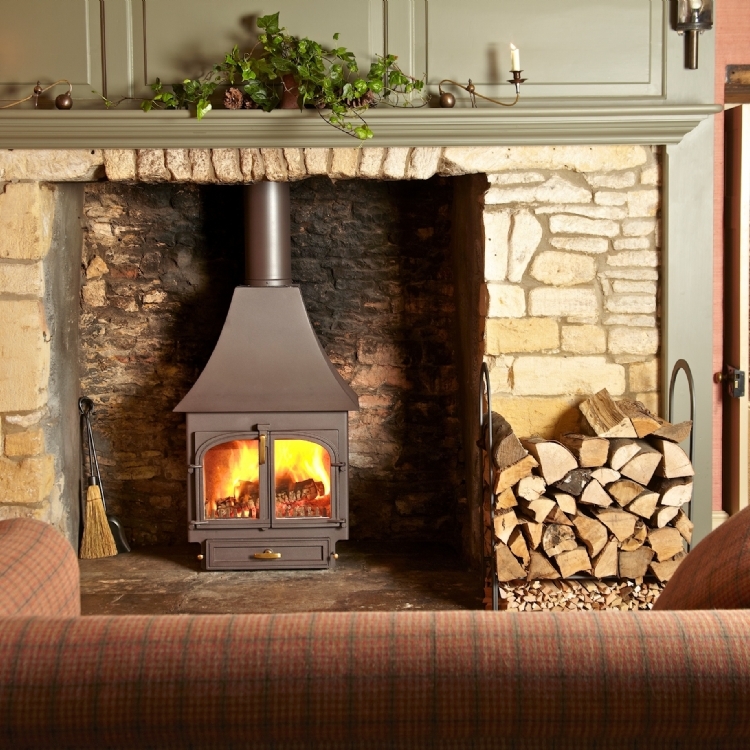 The addition of a canopy give added height and helps to fill the huge fireplace.